The value of 3-D and virtual reality (VR) in real estate remains hard to measure. Most 3-D and VR tech remains fringe. Augmented reality offers the best use of VR software. 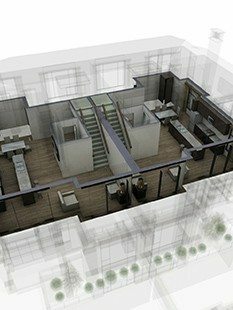 Augmented Pixels is 3-D modeling and augmented reality software for real estate. Platform: Mobile for iOS and Android. 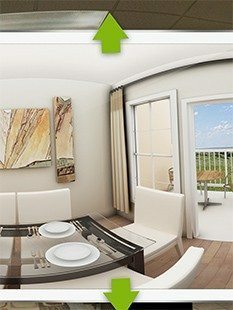 Ideal for: On-site sales agents at high-end planned communities and condos; new-home sales; land sales. Cutting edge: Be the first kid on the block with the new toy. Impress prospects Agents seeking developer business will impress when presenting properties with Augmented Pixels. Hands-off: All appliance manuals, tips and data uploaded for users by CentriQ staff. You won’t use this for most listings or prospects. So consider its use wisely. However, when it’s time to win that one deal, this could be the tool to do it for you. Facebook, Google and Microsoft are heavily vested in virtual reality. However, are these bleeding-edge side projects — like driverless cars — or soon-to-be-viable consumer initiatives? Add to the discussion Matterport’s growing market presence and there’s no doubt that regardless of actual mass-market viability, 3-D and virtual reality are hot business topics. Now, a company called Augmented Pixels is turning up the heat. Do you envision virtual reality evolving from eye-opening geekware to everyday sales tool? Hover your tablet or phone above an image on an Augmented Pixels brochure and you’ll see the building come alive on the screen. Sophisticated floor plans rise from the page, offering the viewer a surreal marketing experience. For tech heads, this is “Star Wars”-level cool. Like, plans for the Death Star. Properties are submitted to and implanted with printed “markers” by Augmented Pixels to become VR-ready. The software does the same thing for architectural models. Individual touch points will float over certain property features on the screen. Selecting one pulls you into the room or hallway or foyer and shares selling points. This kind of immersive display could be a serious draw for agents partnered with builders. It’s already being used by hotel chains for guests to experience other, exotic locations. Prospects can look around once inside a room by moving the tablet, tap an icon to learn more about floor plan options or stroll through the landscaping features. Land brokers could leverage this tool to bring prospective developments to life. No more plans or canned architect renderings. Once models have been scanned and loaded by the company, holding your device toward a vacant lot will drop a fully rendered property on to the site. This is “Star Wars”-level cool. Like, plans for the Death Star. I envision frustrated developers winning over NIMBYs at the next zoning complaint meeting by showing how their proposed project will interact with the surroundings. Home lot buyers can be provided highly informative views on how varying designs will look on their land. Augmented Pixels works with each of the popular virtual reality headsets. Facebook bought Oculus and its Rift VR headset for $2 billion. Google’s do-it-yourself Cardboard offering has turned a lot of heads, and Samsung Gear VR, powered by Oculus, will also display Augmented Pixels home tours. Augmented Pixels brands its software according to specific industry application. Intuit House is its residential offering, while ARHouse aims to serve homebuilders, commercial landlords and the agents who work among each. The movement of this kind of technology into real estate is compelling. Can it make a difference in sales, though? Company founder Vit Goncharuk teased that a big industry partner would be announced soon.